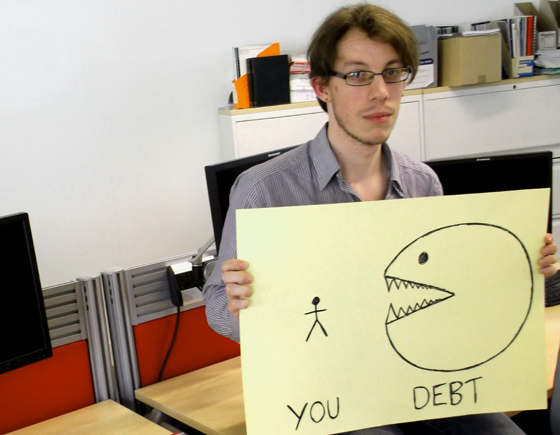 WHAT WE OWE is a highly unqualified debt counselling service. In a one-on-one session, Harry will take you through a discussion of what you owe – not just financially, but emotionally, socially and ecologically. Together, you’ll create a personalised Debt Action Plan which will leave you happier – or, at least with a colour-coded spreadsheet. bt, and how we struggle to even begin to deal with it.